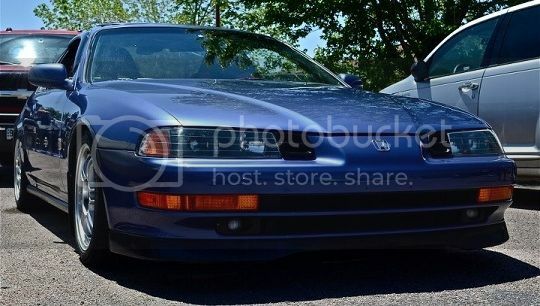 i know this is the prelude site and i am a prelude owner. 1. what motor came in the GSR? what came in type R ? on the block to the left of the header should be stamped ( B18C5 ) and also all type r have a number badge on the center console lid . easy way to be sure is to take the vin and run it through car fax .this should give all vital info on the car by the vin . tell you exactly how it came from the factory ..
thanks so type r comes with b18c5 GSR comes with B18c1 ? correct . i have seen a type r clone before ( badges seats engine and all ) so i would suggest running the vin . but the dead give away is the b18c5 with the red valve cover . usdm type r didnt have one piece head lights . they were the same as any other integra of the same year .as for the rest of the info that is correct . Last edited by eludeauthority; 01-04-2011 at 11:07 PM. Last edited by illluder; 01-04-2011 at 11:17 PM. They didnt make a Type R before 97. And ALL of your questions can easily be asnwered through google. dear google did they make integra type R in 1999 ? google says no.. wrong !! That took me less than 2 minutes to reply. 1 on 1 help will do you no better than looking it up with those questions you asked. Last edited by eludeauthority; 01-05-2011 at 02:15 AM. Exactly, why didnt he post this in an Integra forum? I used to have a gs-r. I LIVED on Team-integra.net lol. Good luck to you dudeski, and if you're getting it for any less than $8k, there are either major problems, or its a fake. I know it does lol. But you said they only made Type R's from 97-01, which is a false statement, because the Type R continued into the RSX which is the fourth gen integra. It doesn't matter if he is only looking at the third generation, that doesn't mean they fourth generation R's didn't exist :) haha I'm just being a douche dude lol. how about "they only made itr's from 97-01 in america," does that suit you?